This Day in Music History — October 16 – Good Music. Good Life. 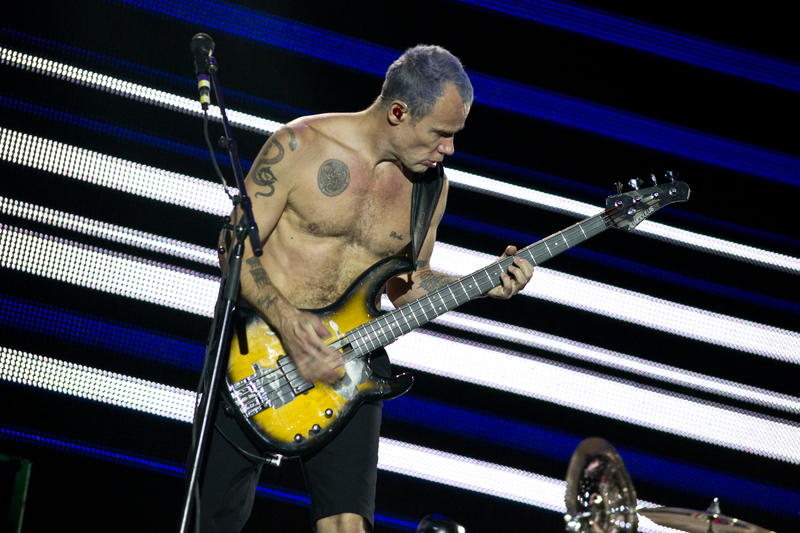 1962 : Flea (bassist for Red Hot Chili Peppers) is born Michael Peter Balzary in Mount Waverley, Melbourne, Australia. He was nicknamed “Mike B the Flea” as a young teen. 1972 : Creedence Clearwater Revival calls it quits, announcing in a press release: “We don’t regard this as breaking up. We look at it as an expansion of our activities.” The band never reforms, but John Fogerty emerges with a successful solo career. 2001 : Etta Jones dies of cancer in Mount Vernon, New York, the same day HighNote releases her album Etta Jones Sings Lady Day. She was 72. 2001 : Bob Dylan is turned away by security guards at his concert at the Jackson County Exposition Center in Oregon because he doesn’t have a credential. The guards were under orders from Dylan’s security director not to let anyone through without a pass. “He said no exceptions,” explained the venue manager.